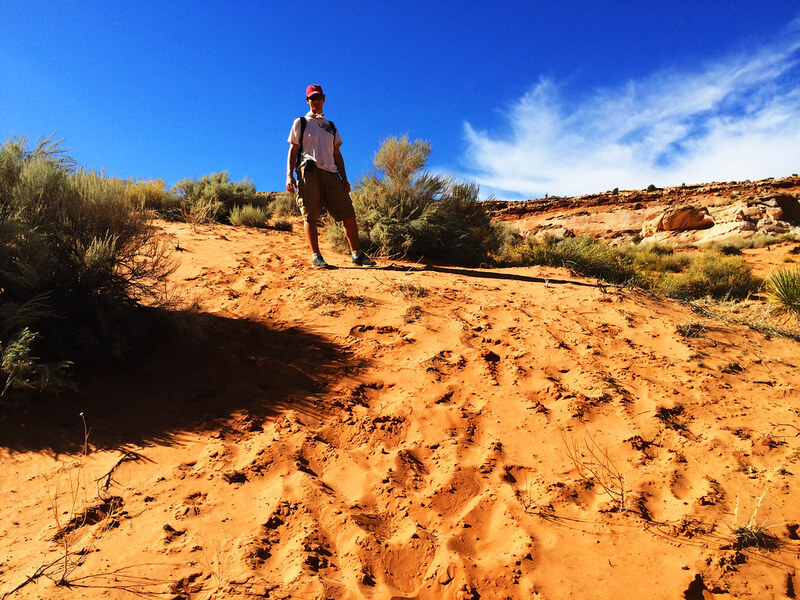 I couldn’t believe that once I thought hiking in a desert must be boring and all the same. Several occasions proved me wrong on that. 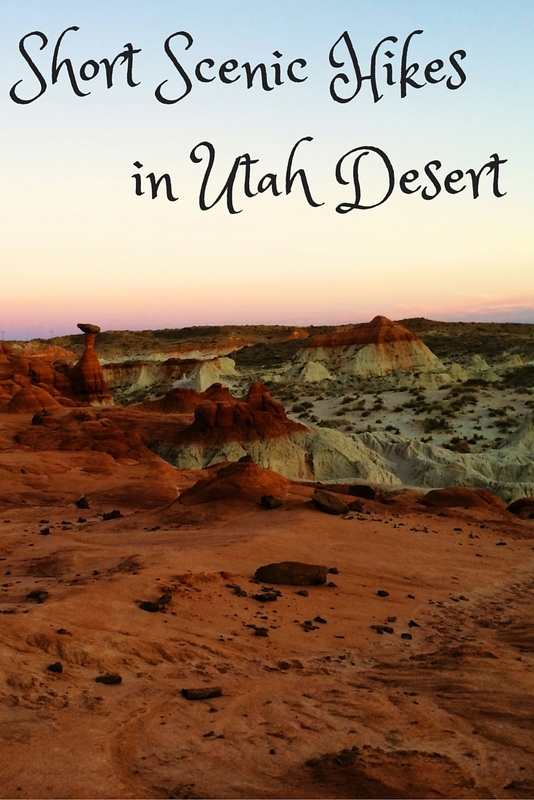 One of these experiences was a day when we were travelling to Zion National Park in Utah, but stopped for a couple of short hikes during the day. 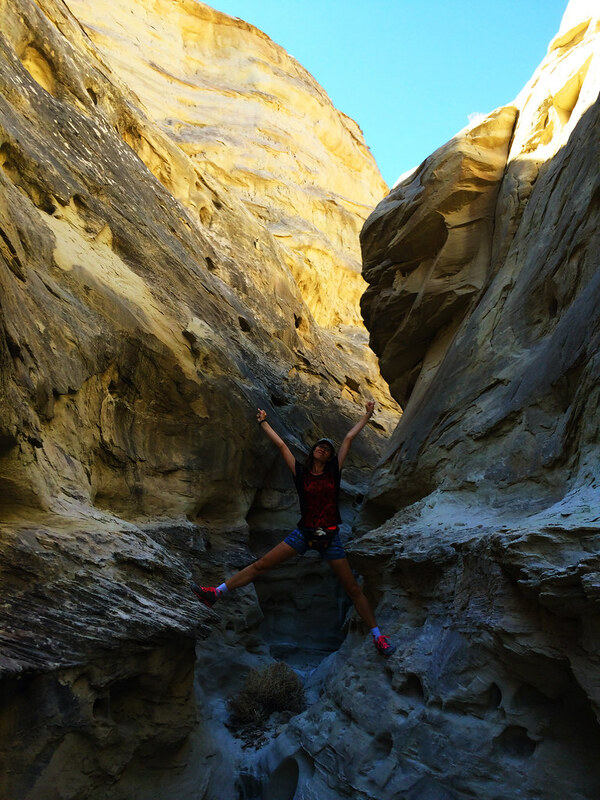 Despite of the hot weather at the end of October these hikes were so much fun! 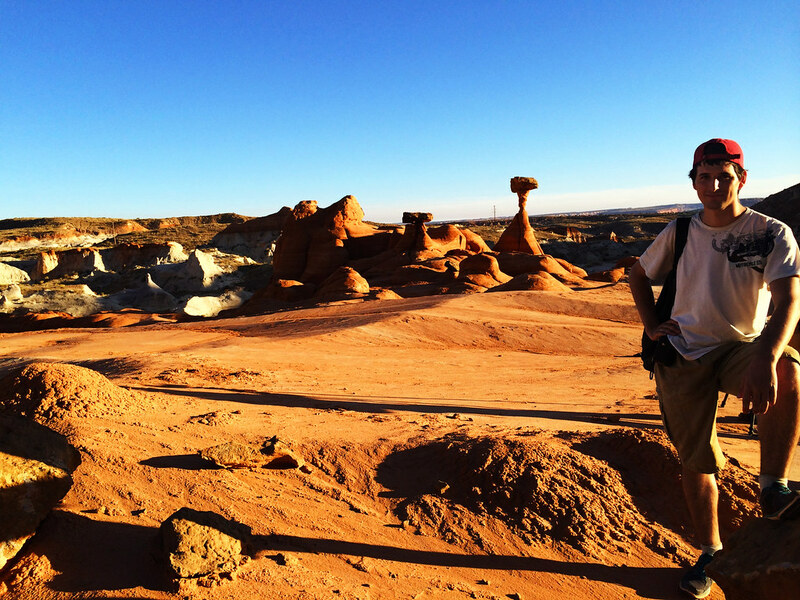 We’ve seen such a variety of rocks formations and some cool desert canyons. There’s another advantage of these hikes: none of them are well-known among tourists, so there were very few people we met on the way. On the other hand, none of them is easy to find. But with the help of some easy to find descriptions and coordinates we were able to find the trailheads with minimum searching effort. 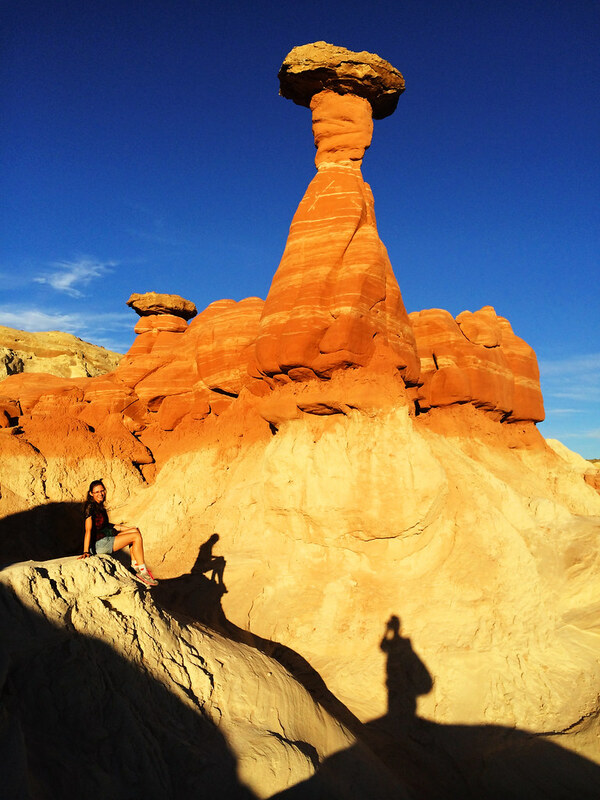 The most scenic of all of our hidden Utah hikes is Toadstools and it’s really short: hardly 2 miles round-trip. Once we found the trailhead, the trail was very obvious all the way and after a short walk we were rewarded with stunning colorful views! 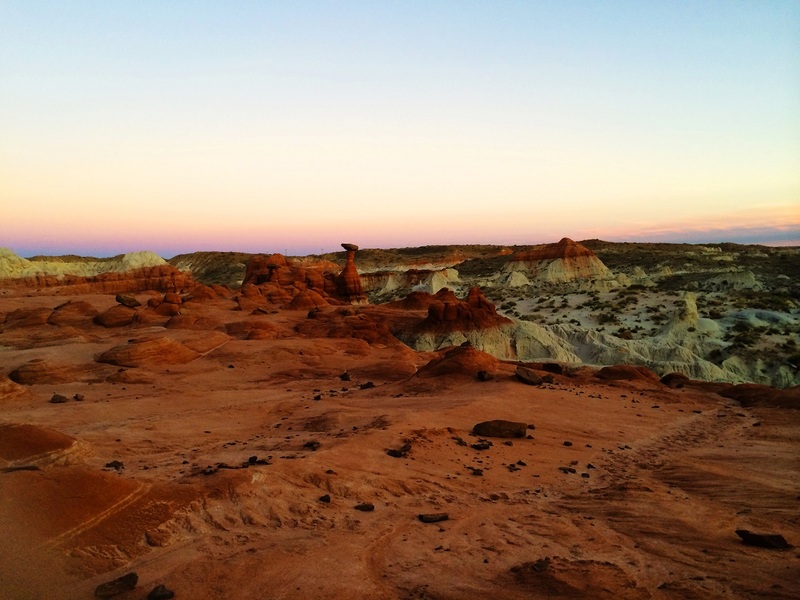 This is also a perfect sunset spot and you will have enough time to walk back to the trailhead conveniently after the sun goes down. Have you seen the new Star Wars movies? The best way to describe Wiregrass Canyon is that it reminded us of the terrain of the podracing on planet Tatooine. This 6 miles long (round-trip) trail is mostly in a sandy wash and when it’s not obvious which way to go, just look for the rock cairns. 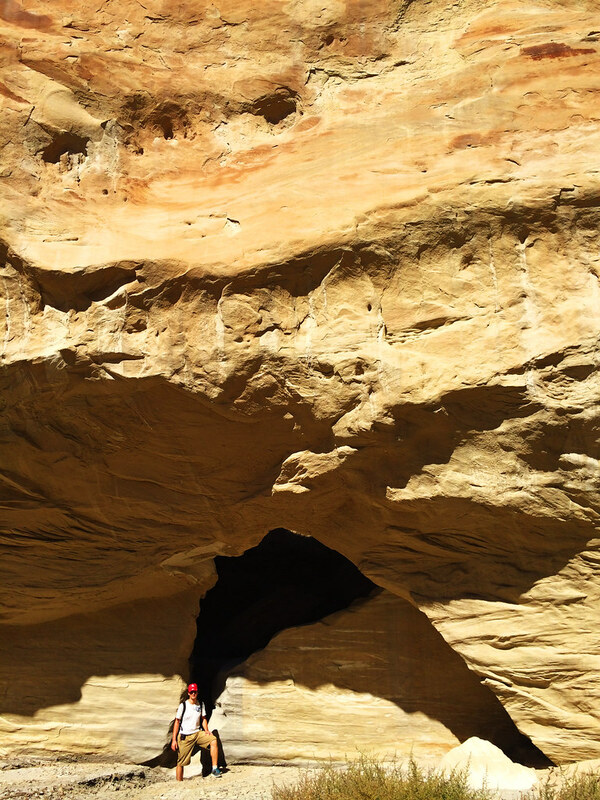 Awesome rock formations and narrow canyons can be found all the way! It’s not so easy to find this trail, but if you pay attention to the signs (indicating Glen Canyon National Recreation Area and Wiregrass Canyon), you’ll be able to find the pullout where you can park. It’s best to hike in the morning or late afternoon, because the high canyon walls will give some shade and that makes your hike much more pleasant. Our last hike on that day. 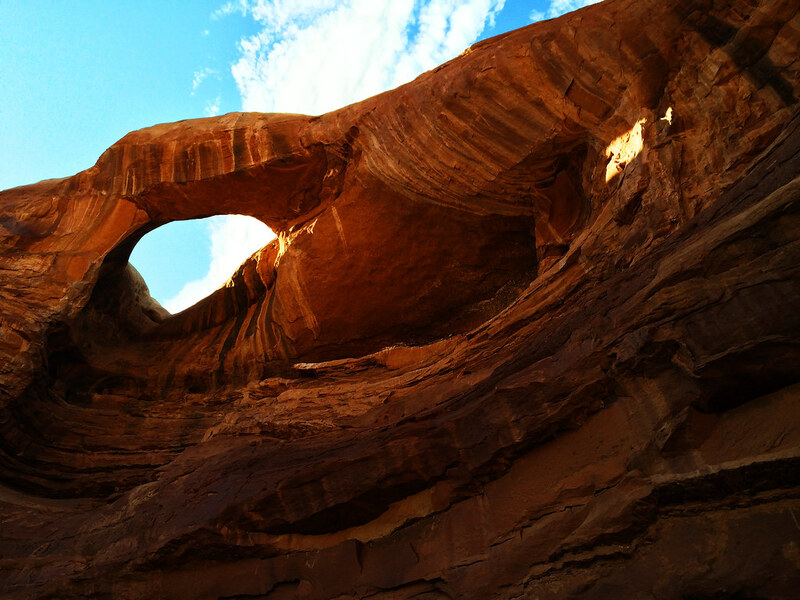 This approximately 3 miles round-trip starts in a sandy wash and continues toward an interesting arch formation. Its trailhead was the hardest to find, but yes, you can just park in a pullout along the highway and walk through a gate. Then look for the cairns indicating the trail. It’s not a well maintained trail and I couldn’t imagine how it could be more well maintained as some sections of it goes through sandy dunes. We got lost a couple of times and though you can spot the arch from a long distance, it’s not so obvious how to actually get there. 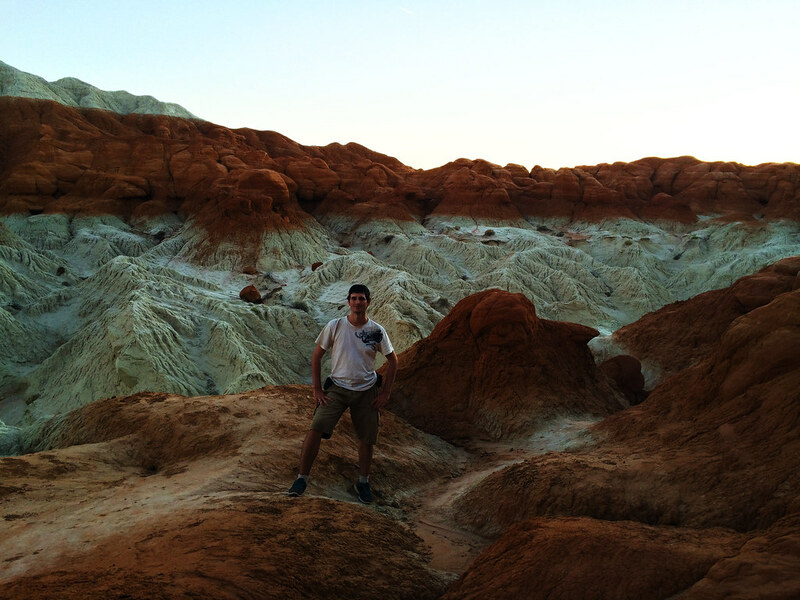 Would you hike in a desert? If you’ve already done, how did you like it?